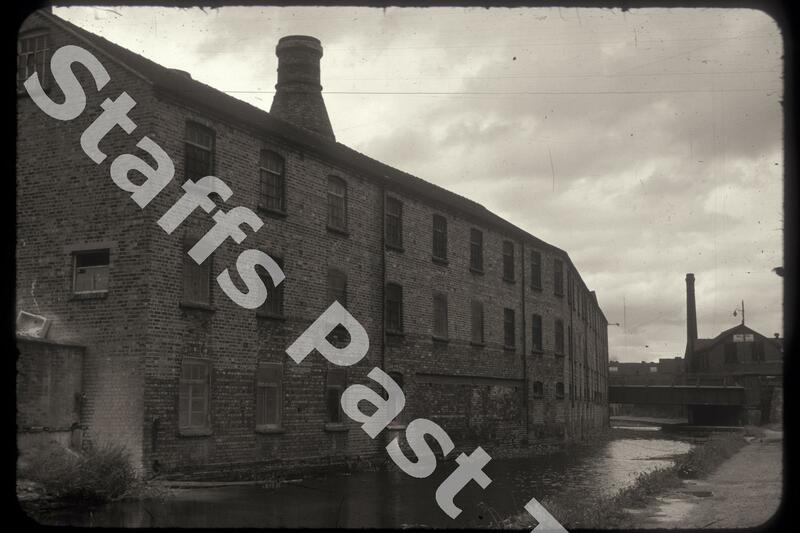 Description:This photograph shows the rear of G. Howson's Eastwood pottery works on the Caldon Canal. 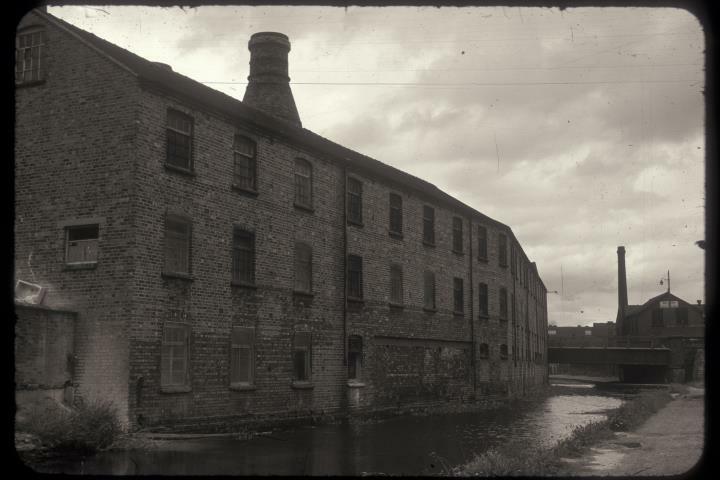 George Howson's produced sanitary ware in Hanley between 1867 and 1966, when then factory was sold to Armitage Shanks. The site has been cleared and is now housing. The bridge on the right carries Lichfield Street over the canal. On the right hand side beyond the bridge is the Joiner's Square Works (Stanley Mills) of Harrison & Sons. The works produced colours and glazes for the pottery industry, eventually becoming part of Johnson Matthey.